I know I've told you how much I love HBC's Body Recipe Pure Coco Oil Body Scrub a thousand times already. That product is still one of my faves from HBC. (Read my review *here. 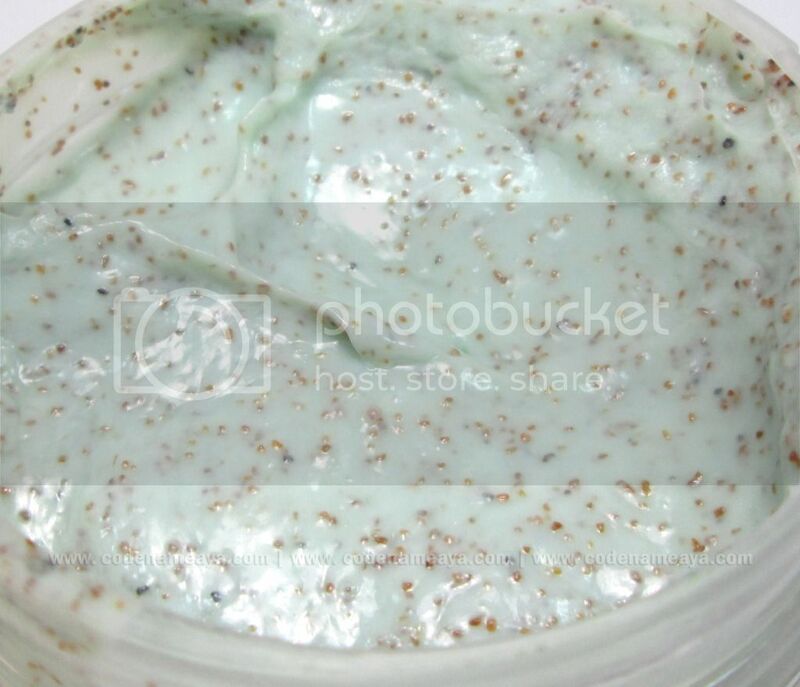 *) Ever since I started using that, body scrubs became a staple in my skin care routine. I think they should be part of everyone's skin care routine, for that matter. Exfoliating or scrubbing the skin regularly helps get rid of dead, flaky skin and bring out healthy-looking, soft and smooth skin that everyone wants. Just don't go overboard and over-exfoliate. Here's another variant of Body Recipe's body scrub that I was able to try. 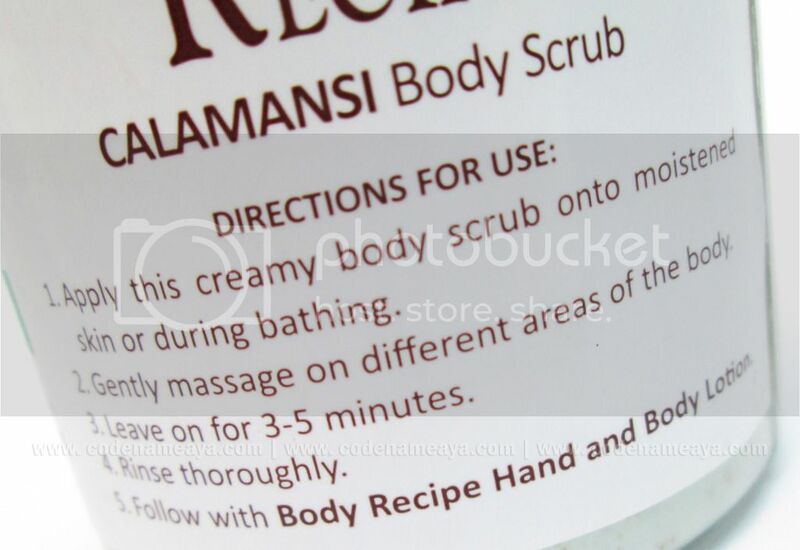 It's the Body Recipe Calamansi Body Scrub. 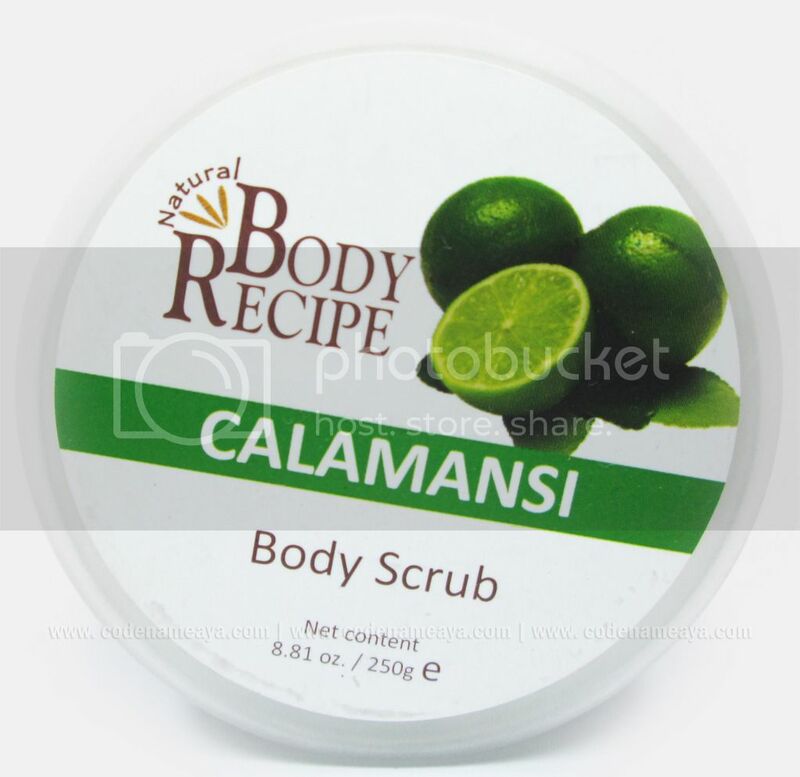 Description (from Body Recipe): Body Recipe Body Scrub Calamansi helps lighten skin as it buffs away dirt and tired skin, leaving skin smooth and radiant looking. It is formulated in a cream base to moisturize and condition skin. Also available in Papaya, Milk, and PCO. 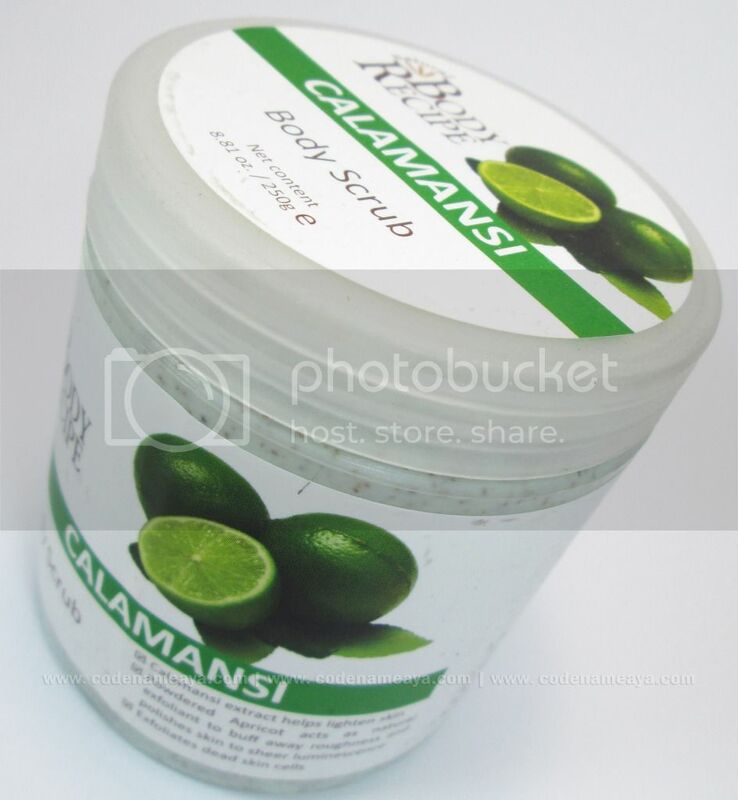 Unlike the Pure Coco Oil variant which focuses on skin moisturization, this Calamansi scrub focuses more on skin lightening. Here's what the product itself looks like. 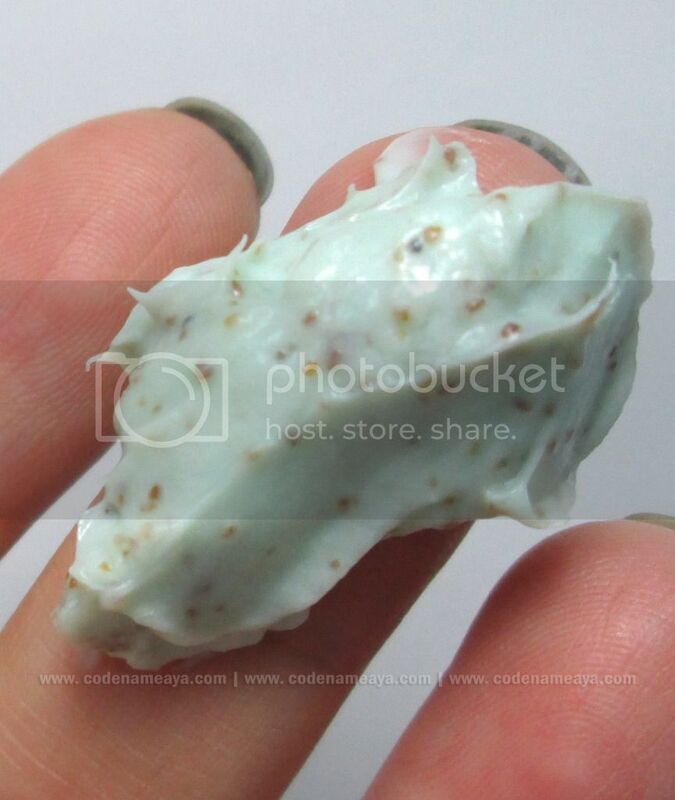 It has a light mint green color, and the apricot scrub beads are clearly there. It's a pretty effective scrub too, just like the Pure Coco Oil variant! It does a great job in scrubbing my skin. I love how it leaves my skin smooth and soft and not dry! I can feel the effect right after I rinse it off my skin. I still apply lotion after my bath for extra moisture. As for its skin lightening property yet, I think I haven't used this product enough for it to have a drastic effect on my skin color. Been using this for weeks (2-3 times a week) but I still haven't even finished half of the product. I haven't noticed any change in my skin color. But that's not a big deal to me as skin lightening isn't one of my main skin concerns at the moment. 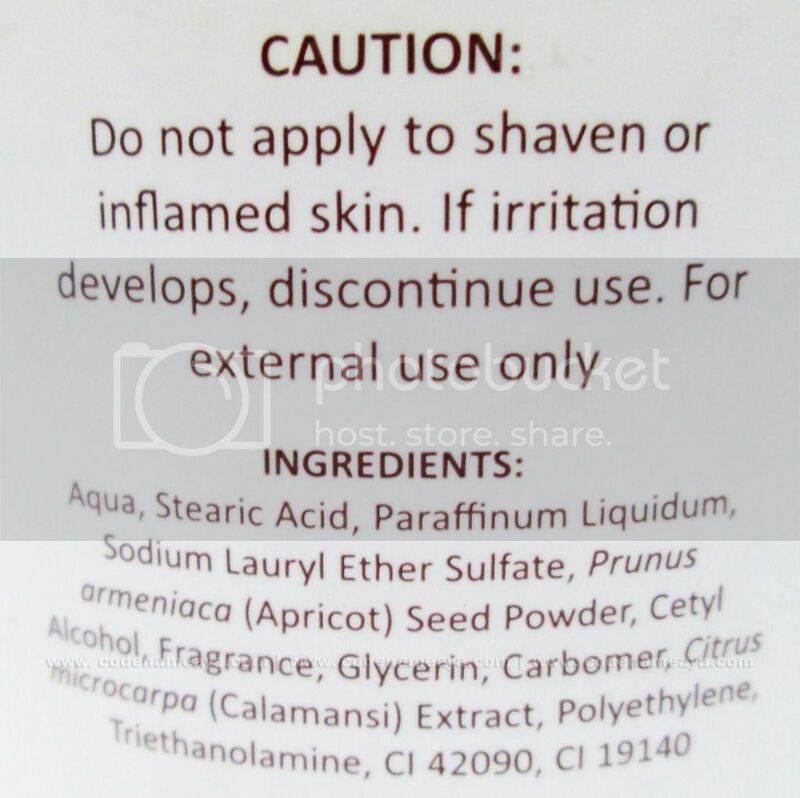 Not harsh for my skin and not irritating - I don't consider my skin "sensitive." Disclaimer: Product was sent by the company but the views and opinions expressed in this post are purely mine and based on my own experience with the product. I need a body scrub so badly! lately i've been neglecting my shower routine coz of lack of time! I love body scrubs - like the way it makes my skin feel so soft and smooth right afterwards! It feels good to pamper your skin with body scrubs. I love them. I might used this when i buy i guess 2mo..and I'll update if there's changes..